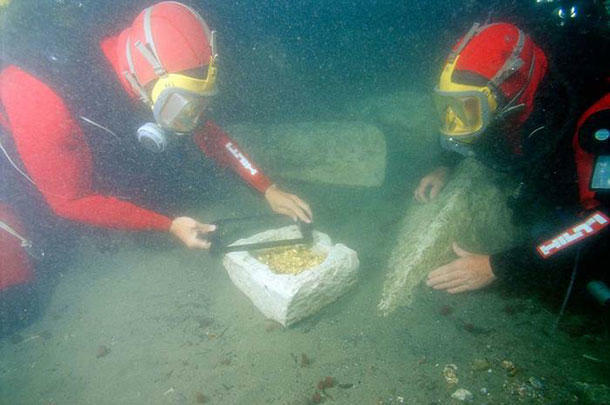 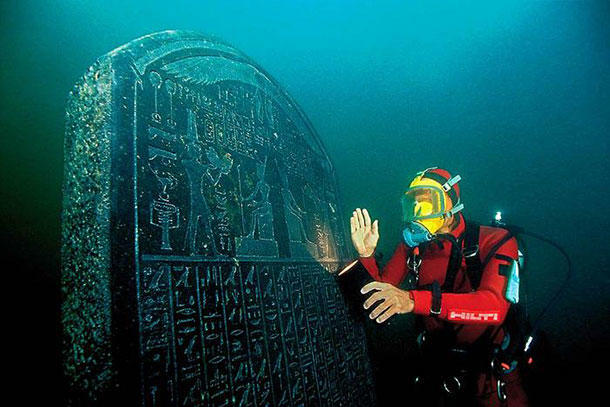 Underwater archaeologist Franck Goddio and his diving team were searching for shipwrecks when they chanced upon some relics, which led to one of the greatest finds of the 21st century: Egypt's sunken city of Thonis-Heracleion. 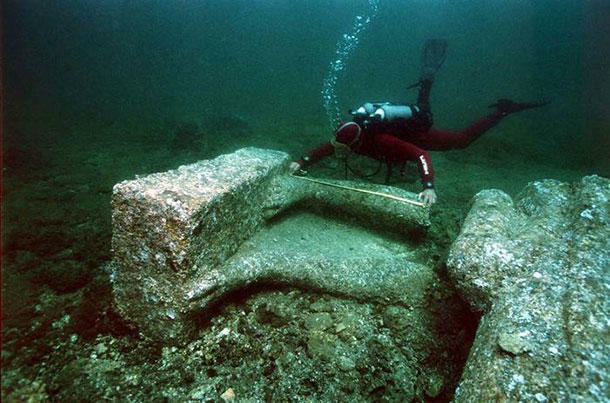 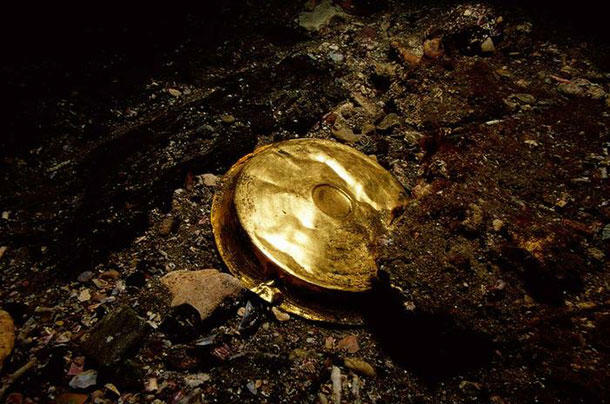 The 1,600-year-old city had been mentioned by 5th century BC historian Herodotus, describing it as an extraordinary city of ‘great wealth.’ Then around 1,200 years ago, the city vanished. 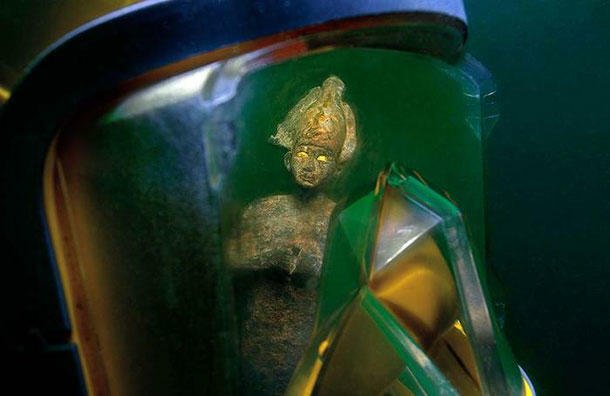 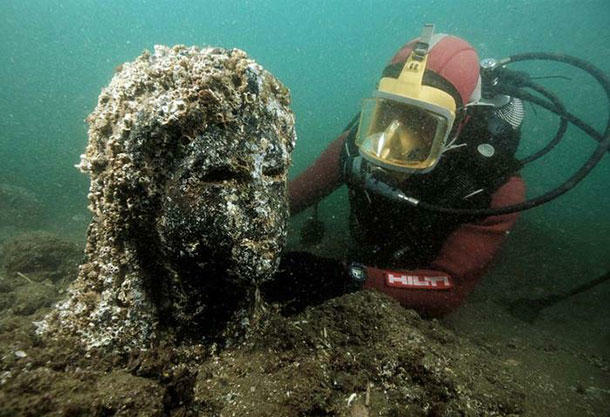 For centuries, Thonis-Heracleion was thought to be just a legend when... lo and behold! 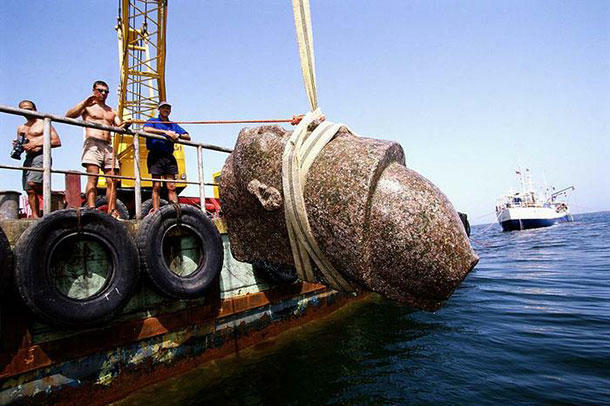 Head of a gigantic statue made of red granite (5.4 meters) representing the god Hapi, which decorated the temple of Heracleion. 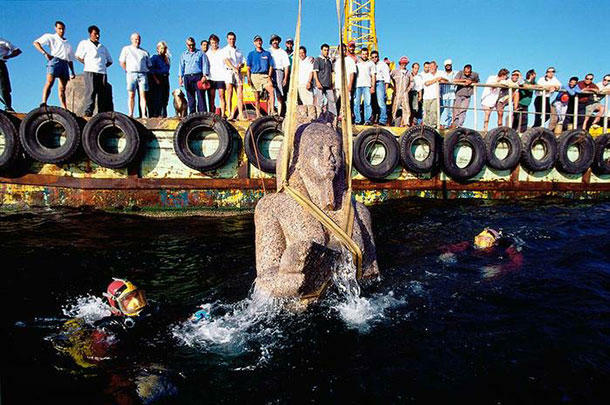 Many more statues and fragments are fished out to the surface, still in excellent condition. 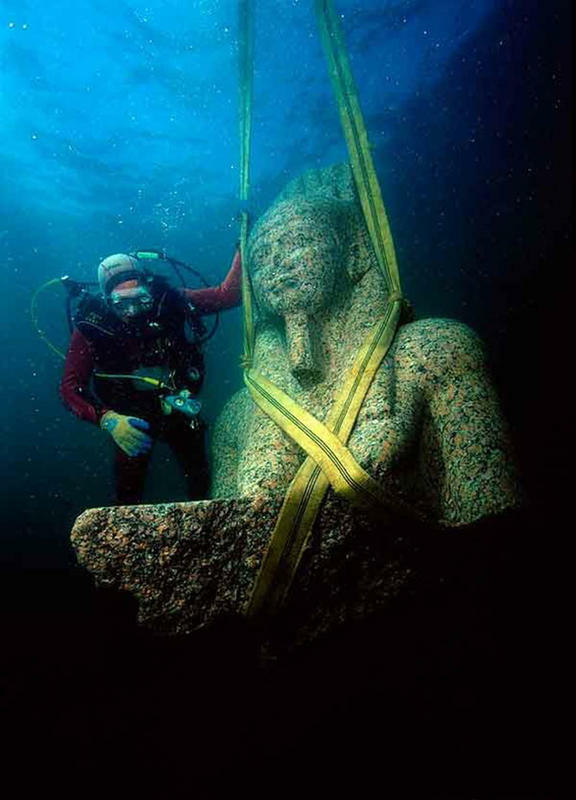 Some of them dating back as early as the 2nd century BC. 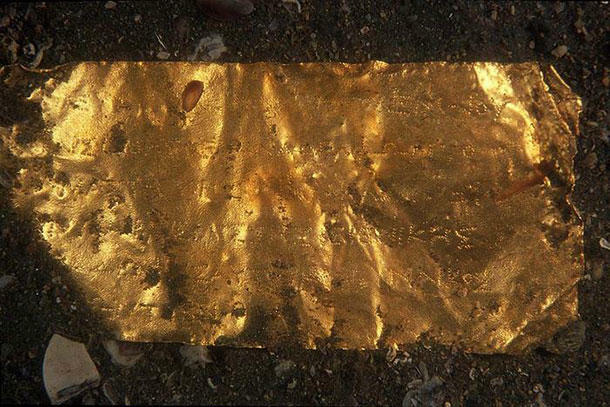 Greek text engraved in a gold object. 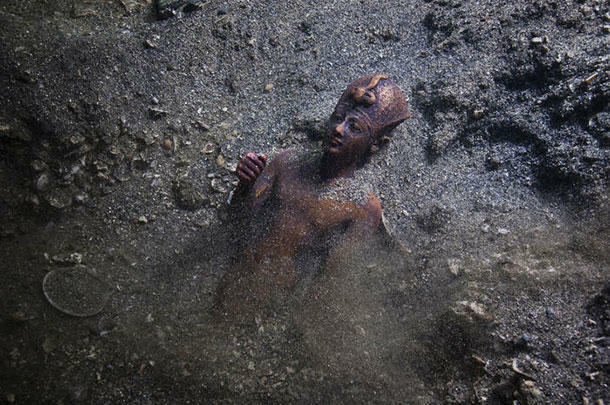 Bronze statue of Osiris, the assassinated and resurrected king-god. 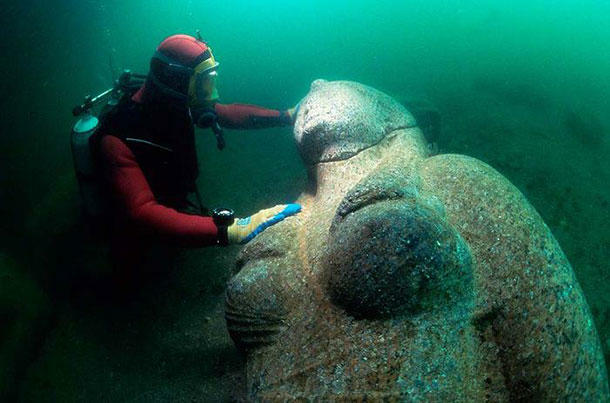 Diver measures the feet of a colossal red granite statue. 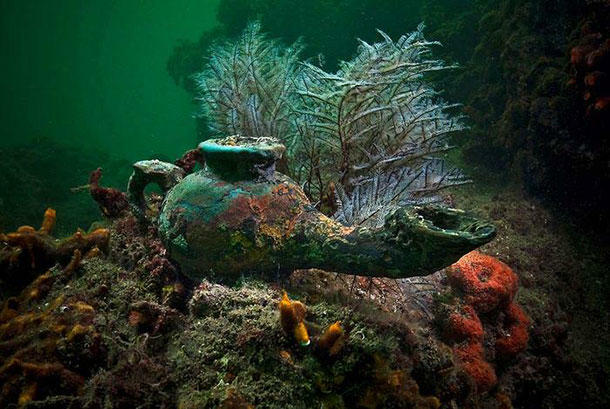 Bronze oil lamp, about 2nd century BC. 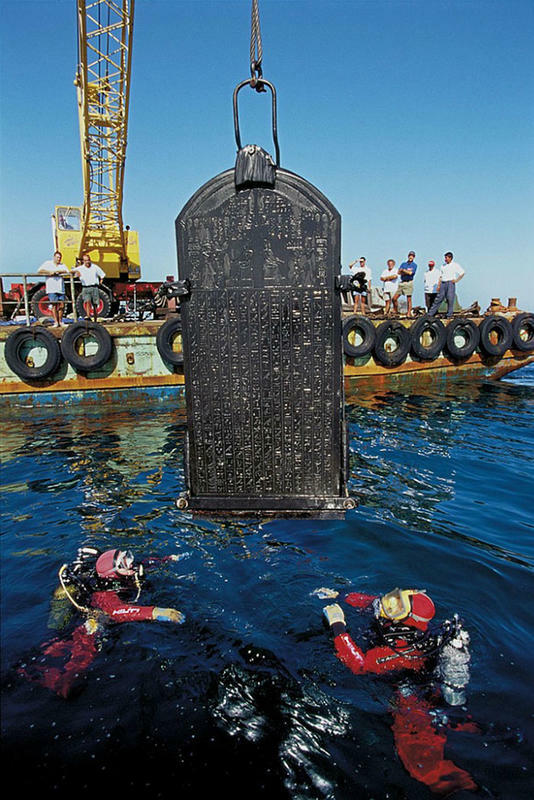 Franck Goddio with the still intact and inscribed Heracleion stele. 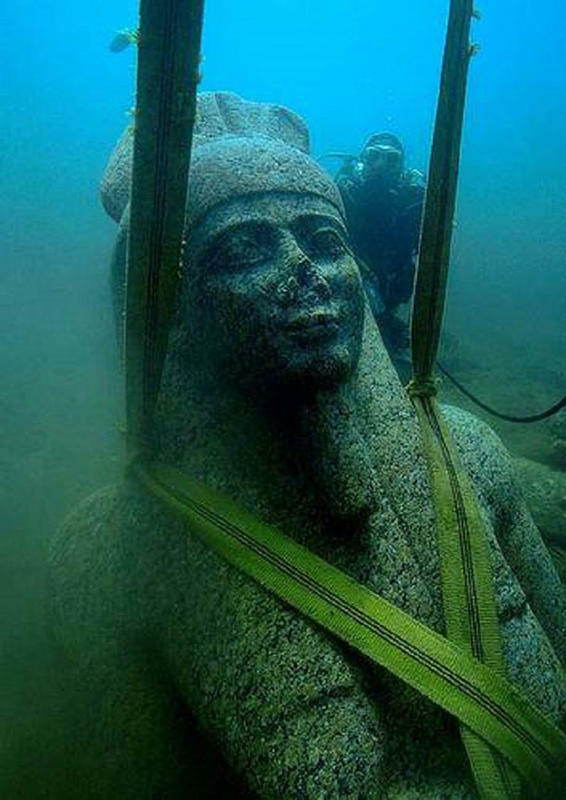 This is identical to the Naukratis Stele in the Egyptian Museum in Cairo. 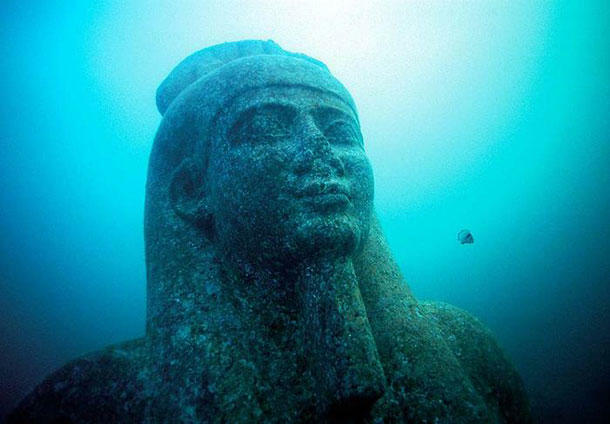 This one was commissioned by Nectanebo I, 378-362 BC. 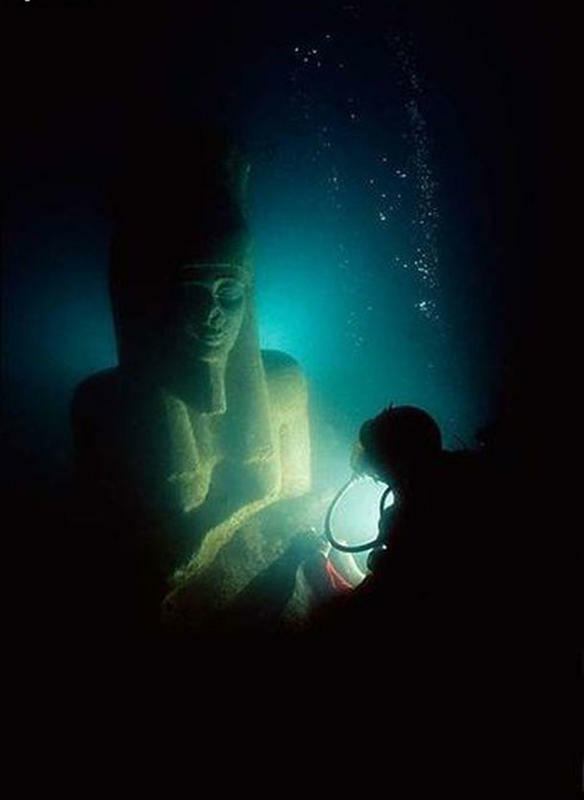 Goddio inspecting a stone with gold fragments. 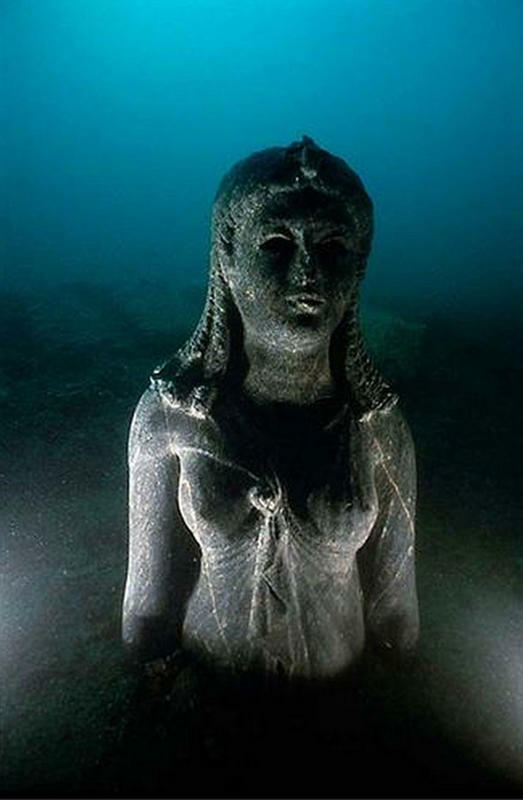 A reg granite colossus of a Ptolemaic queen, which measures 490 cm in height and weighs around 4 tons. 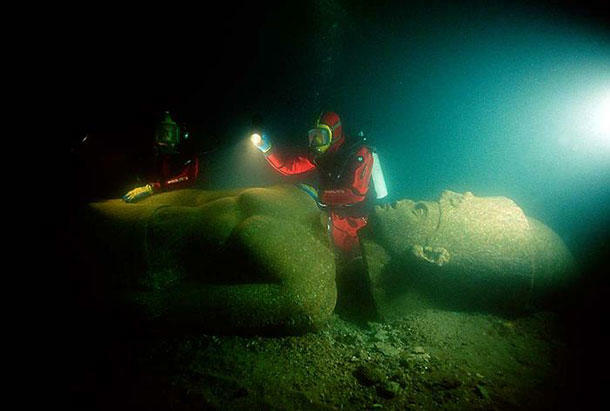 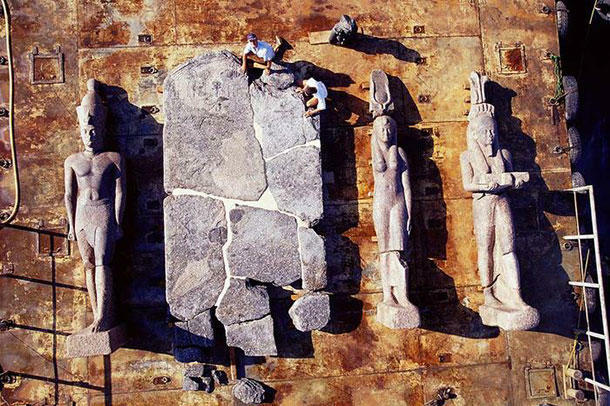 The 5-meter head of a pharaoh statue is raised to the surface.